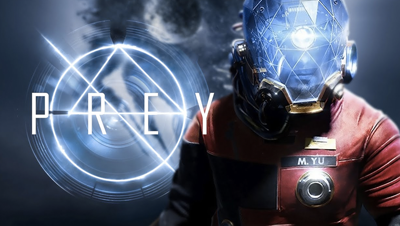 ‘Prey’, out now on Xbox One, PS4, and PC is the latest game from Arkane Studios, the makers of the ‘Dishonored’ series. Unlike previous games they’ve done something a bit different here, moving away from the steampunk genre and instead towards sci-fi. You play as Morgan Yu, a character with the option of two genders who is having quite a normal day at work until something starts to feel wrong. Following a sequence of events you find yourself unconscious, and things take a rather grim turn. Stranded on a space station with the presence of a multitude of killer aliens, your task is to stop them in their tracks before they eradicate humanity forever. The game itself is designed as an open world, where you can fully explore the space station and find the many hidden secrets such as weapons, ammo, and stories to develop the other characters. It’s heavily influenced by ‘BioShock’ and ‘Dishonored’, but this isn’t a bad thing. Despite having set objectives you can play the game your own way, with a big focus on the consequences caused by your decisions. What doesn’t stand out quite so much is the gameplay, which is pretty standard in that it’s a first-person shooter with melee fighting and magical abilities (or implants, in this case). While this does what it needs to, it doesn’t bring anything new to the table. The gameplay can be difficult at points due to unforgiving enemies and sluggish controls – this isn’t great, but the overpowered nature of the enemies leads to new gameplay mechanics as you find yourself having to think very carefully before each fight to ensure you are prepared. If you’re an inexperienced player then I’d suggest going no higher than easy level, as many enemies present quite a challenge. Unfortunately, the difficulty becomes more annoying than challenging after a couple of hours – it’s hard to understand why you’re losing health or dying as there’s not enough feedback from the game. When hitting enemies there’s not sufficient sound, and rather than feeling like you’re actually hitting something it’s more like you’re just flapping a bit at whatever enemy is about to destroy you. I found this frustrating, but it was too noticeable not to ignore. Aside from the combat feedback the game performs really well, with no major bugs and only slight physics-based issues as one would expect. The sound design in particular was mostly on point, although some of the music is quite bizarre (no matter how hard I try I just can’t link the death noise with feelings of failure). One thing I found really distracting was the way the objective notifications appear – they fly up on the screen quite dramatically, breaking you out of an otherwise fully immersive story. Despite this the game is aesthetically pleasing, and I can’t fault the visuals at all. The art style strongly resembles ‘Dishonored’ and previous games from Arkane Studios (in particular the faces), and comes across as beautifully disturbing. ‘Prey’ doesn’t have the most original structure in the world but this is a common issue within many open world style games – what it does have is an original feel to an Arkane Studios game, along with an immersive storyline and an ominous feeling of dread and despair that you just can’t shake.